Charles Gemora not only tromped about the silver screen for 20 years as a gorilla but also worked behind the camera in set design and special effects. 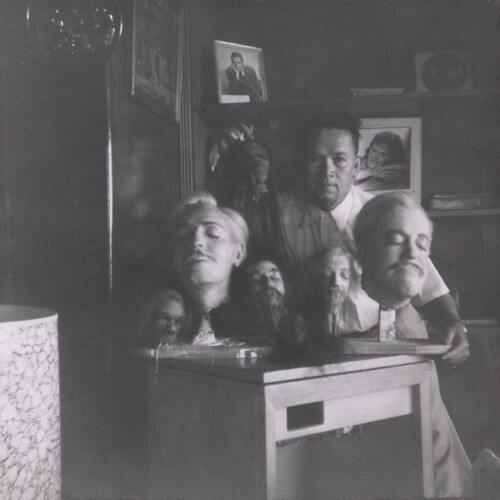 Though the film may not have been the most stellar thriller, one of the flick's more sensational aspects, the decapitated and shrunken heads, were the handiwork of Gemora. The photo below features Charlie in his home with Boris Karloff from the neck up and a few friends.